Kirton McConkie has a long-standing tradition of excellence advising and representing clients on domestic and international corporate, partnership, non-profit and individual taxation issues. We also advise and implement financial planning strategies for high net worth individuals, business owners and senior executives on a range of estate planning strategies and issues. Our tax planning attorneys assist clients in identifying potential tax consequences, offering advice on minimizing taxes and working to implement the most beneficial options. We help guide individuals, corporations, limited liability companies, and tax-exempt entities in areas such as federal, state and local tax planning, employee benefit taxation, the tax aspects of profit allocations, income tax planning as well as the U.S. federal tax consequences of international business operations. Our attorneys also provide representation on tax controversies such as criminal matters, audit defense, administrative hearings and Internal Revenue Service appeals, and tax court and district court complaints. 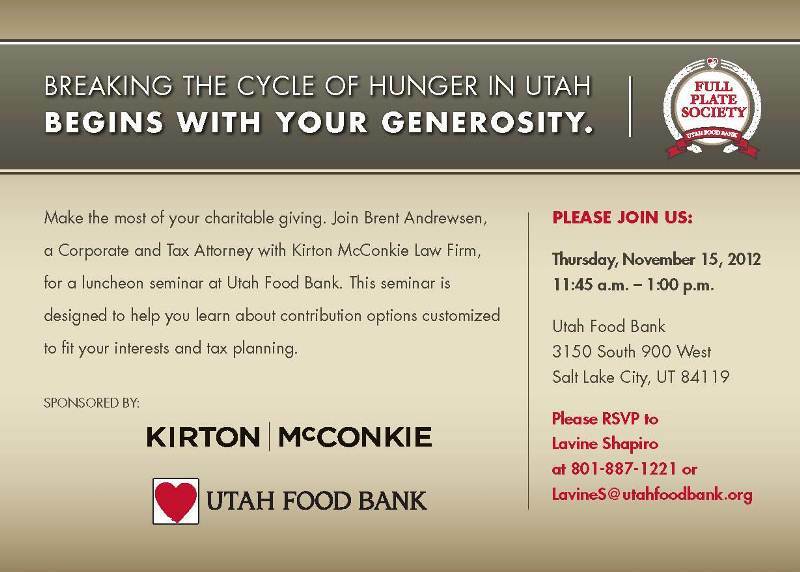 In addition, Kirton McConkie has a special depth of experience advising religious, educational and charitable organizations on obtaining and preserving tax-exempt status and maintaining tax compliance. Our estate planning attorneys are experienced in crafting estate plans for small to multi-million dollar estates, aiming to accomplish the client’s goals with the lowest possible estate, gift and income tax cost. Our estate planning services include drafting wills and revocable trusts, setting up charitable entities and private foundations, and handling estate, trust and probate administration. Our attorneys also offer a variety of sophisticated planning techniques, including family limited liability companies, irrevocable life insurance trusts, multi-generational dynasty trusts and asset protection trusts.